Our final festival of the year. 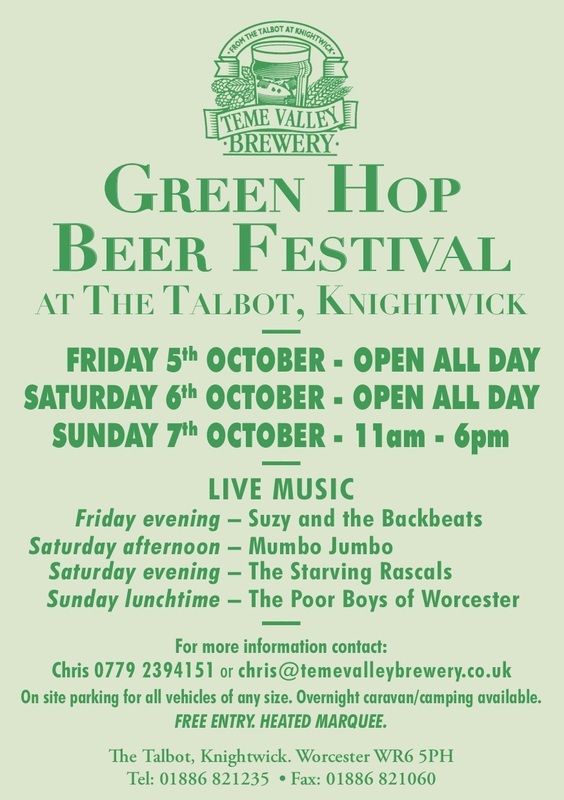 We hope to bring in about 30 beers this year with the vast majority made with wonderful fresh un-kilned hops. Caravans and camping are welcome. Contact the Talbot for more info.